This past weekend I went to a crafts/junk roundup with my cousin. One thing you may not know about me is I love junk. Not just any junk, but junk I can fix up. Classy junk. My parents’ neighbor has been remodeling his house and every time I’m there, I am tempted to go though his trash because, hello, wood. 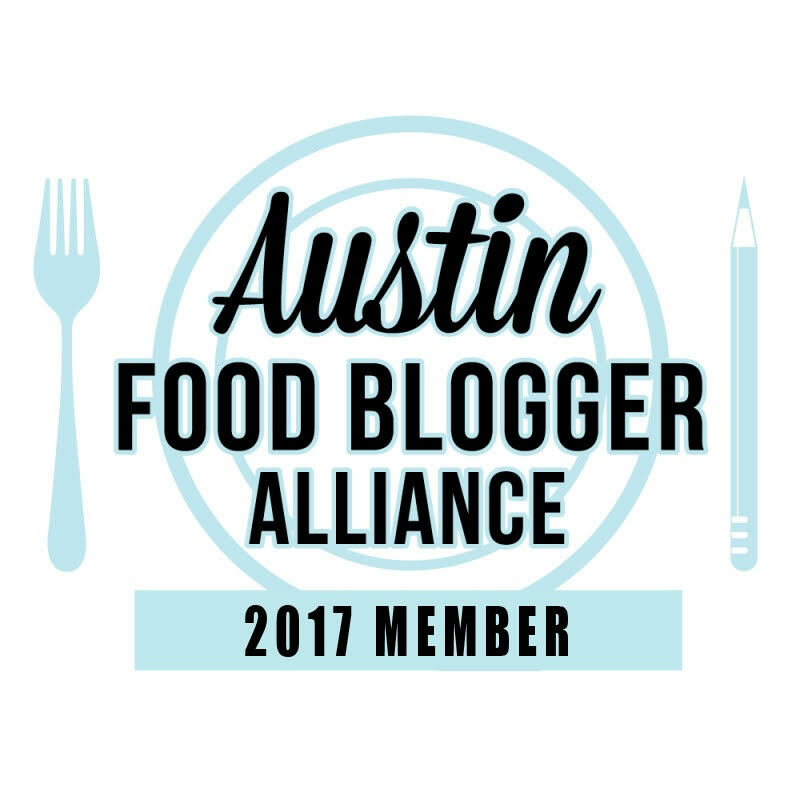 I blame it on Joanna Gaines. And American Pickers. I have seriously got to stop watching television. Anyway, while I was at this bazaar, I was at a booth choosing between some little clutches. 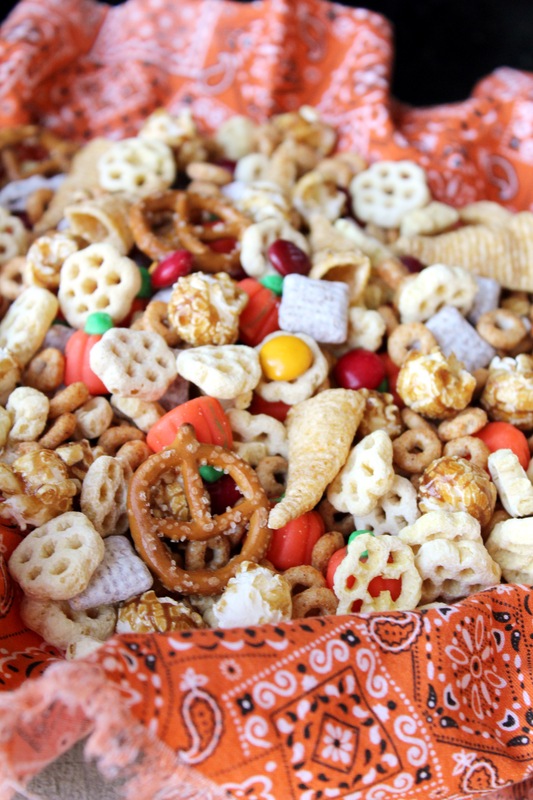 I finally chose my two and while at the register, there were packs of bags of different kinds of snack mix. I bought a bag for myself and then added a slew of my favorite treats to my grocery list to make my own snack mix bags for the kids. 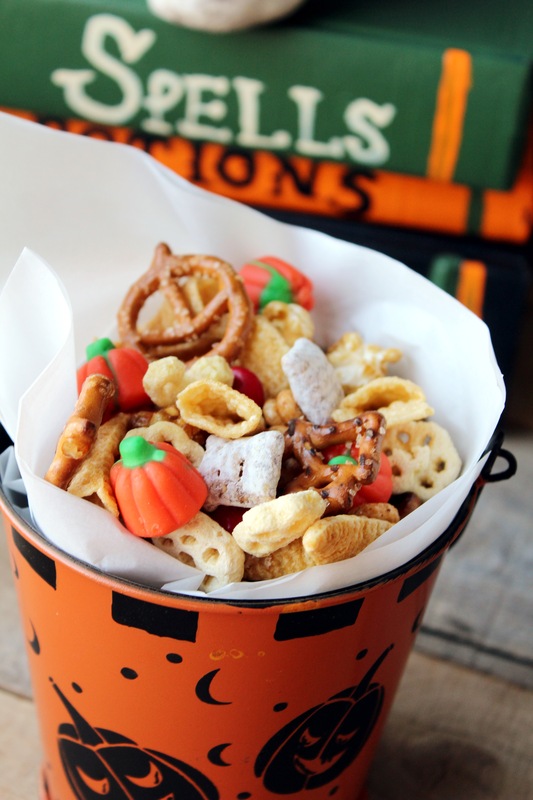 If you are in need of a quick party snack for Halloween, football watching or any party, grab your favorite sweets and mix them up. 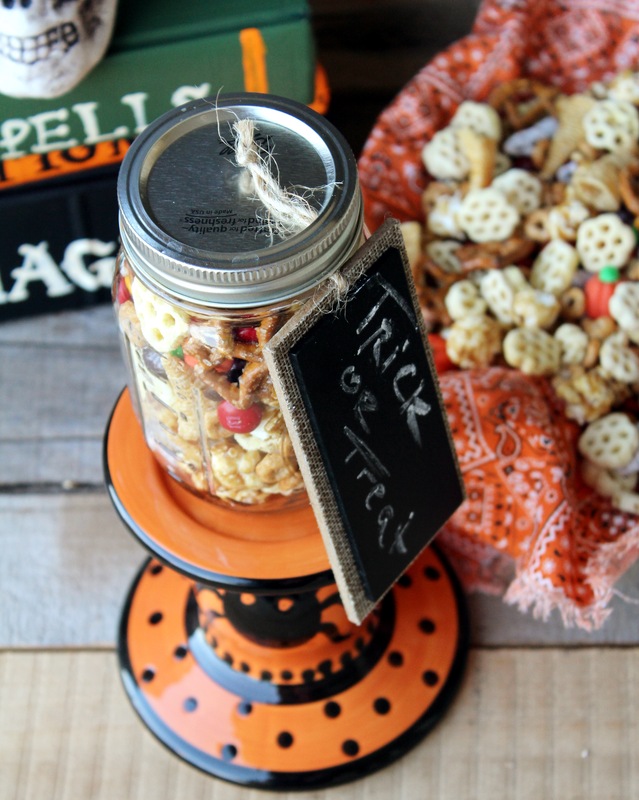 You can put them out in a serving platter, wrap them up in cellophane bags, or throw them in some mason jars. 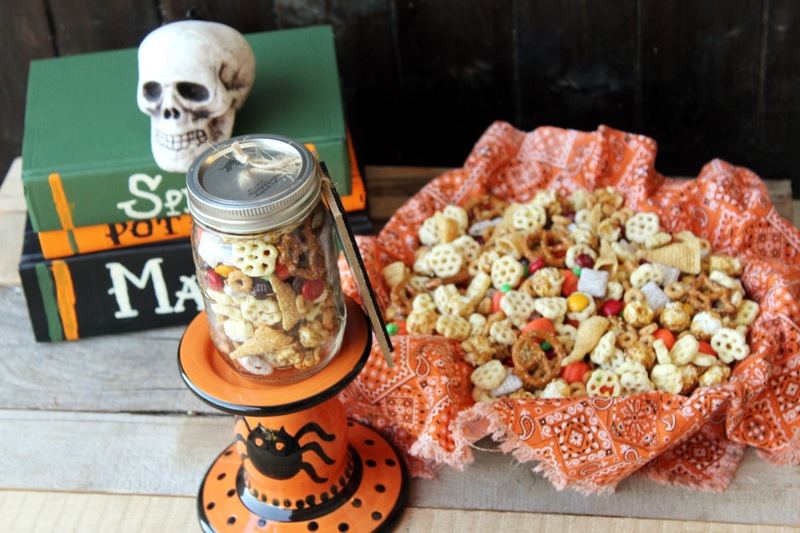 Easy party snack mix perfect for last minute Halloween party treats. In an extra large mixing bowl, pour in all ingredients. Mix together and serve. This can serve 2-20 people. Serving size is dependent on how much of each ingredient is used.